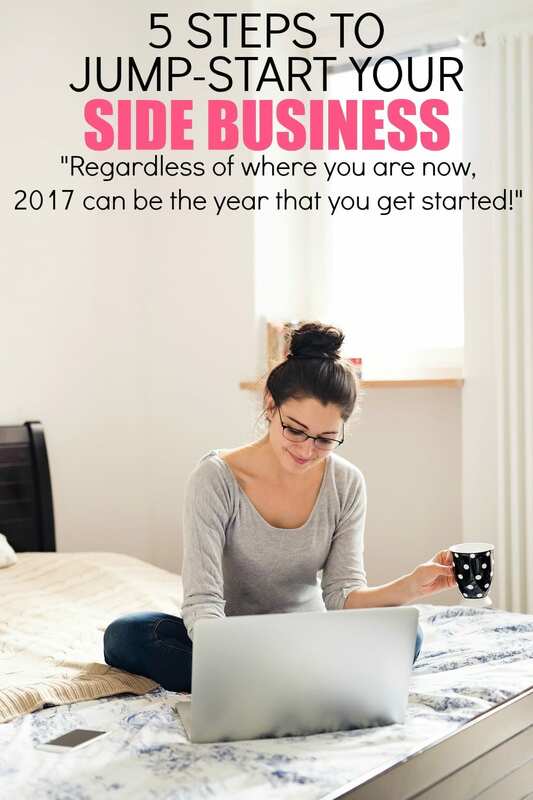 5 Steps to Starting Your Side Business + A Giveaway! This is a guest post by Christy Wright from Business Boutique, a new book that guides women down the path of making money doing what they love. Keep reading until the end for a giveaway! With over 30 million Americans working as independent workers or “solopreneurs,” not to mention the endless free social media and selling platforms, there’s never been a better time or bigger audience to launch your own side gig. Maybe you’ve always had a knack for repainting old thrift store furniture. Or maybe you’re a gifted musician who could coach other young aspiring talent. Maybe you have a specific education, training, experience or skill that you could develop into a freelance business such as financial planning or graphic design. Whatever your “thing” may be, there are plenty of good reasons to get going. First, you can make extra money on the side. Extra money is always a good thing! Second, you can set your own schedule. That way you can build your business around your life versus the other way around. Also a good thing! And finally, you get to utilize something you’re good at and enjoy. Also a good—and fulfilling—thing! Regardless of where you are now, 2017 can be the year that you get started! But, of course, getting started is the hardest part! I coach women with side businesses through my Business Boutique events all over the country, and I know how difficult and overwhelming it can seem. So to help, here are the first five steps you can take to jump-start your side business. Just because you’re doing it on your own doesn’t mean you have to do it alone. Find other people who can help support your dream, provide resources or connections that may help you, or give you advice when you need it. It doesn’t have to be fancy or fourteen pages long. You can make your own, search for a template online, or even use my Business Boutique Quick-Start Guide found at ChristyWright.com. It doesn’t matter how you do it; it just matters that you do it! Be prepared to get scared. Fear is just a part of the journey, and if you know that going in, you can set yourself up to overcome it. Putting yourself out there can feel vulnerable and scary, but you can’t succeed unless you do it! I write on this topic frequently because I battle fear just like you do. Business can be overwhelming with all that you have to do, especially when you’re starting out. But don’t focus on all that you have to do. Just focus on one thing that you have to do. When you take that one baby step, it fuels your focus and gives you the confidence and momentum to take that second baby step. If you wait until you’re ready, until you have more experience, or until all the details are perfect before you go for it, you’ll never do anything. Go for it now—when you’re not ready, you don’t have experience, it’s not perfect, and you’re scared out of your mind. Do it anyway. Do it scared. Ready is a myth. There you go! These are the first five things you need to do to get started. And notice not one of them was “go buy a bunch of equipment and materials” or “pay $10,000 for a professional website.” Those things aren’t a bad investment later down the line when your business revenues justify it. But when you’re starting out, the problem isn’t the design of your website; it’s your fear, doubt, hesitation, and feeling overwhelmed. Christy Wright is the creator of Business Boutique, a Certified Business Coach and a Ramsey Personality with a passion for equipping women with the knowledge and steps they need to successfully run and grow a business. 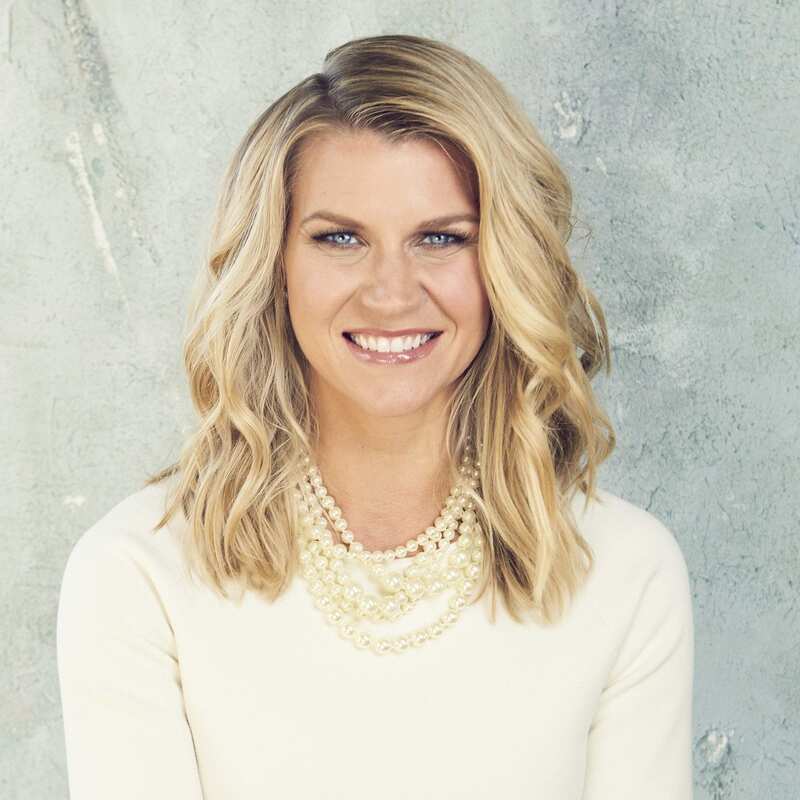 Since joining Ramsey Solutions in 2009, she has spoken to thousands across the country at women’s conferences, national business conferences, Fortune 500 companies and her own sellout live events. She is the host of the Business Boutique Podcast and her new book, Business Boutique, releases April 2017. You can follow Wright on Twitter and Instagram @ChristyBWright and online at christywright.com or facebook.com/OfficialChristyWright. 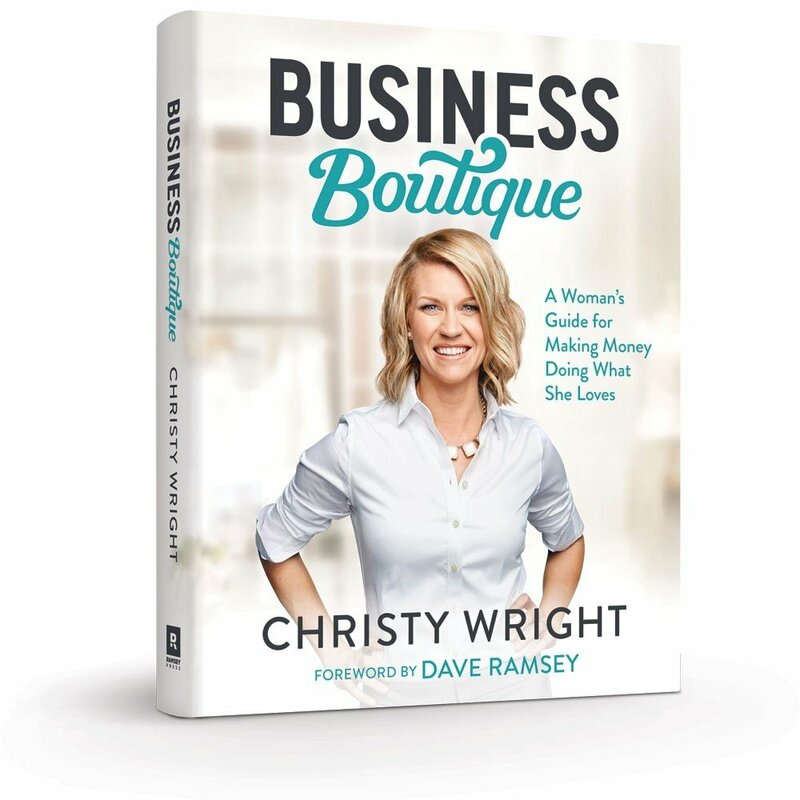 Christy has kindly offered two copies of her Business Boutique book to giveaway to Mom Fabulous readers! Enter via the form below. The giveaway begins April 27, 2017, and ends on May 4, 2017. I will draw two winners on May 5th. Giveaway is open to U.S. and Canadian residents only. Hello I’m Kaitlynn. I recently started a blog that I’d like to launch into my own online business . I definitely agree with the “do it now” advice. My husband pushed me into starting my site whereas I was planning to wait a few months until I was ready…so glad I started now!! I’d love to read Christy’s book and gain some new knowledge about starting my business!! Besides selling Avon and Word Processing at home (both which never really got off the ground) I have not tried my own business. Now that my husband is retired and I also have some time on my hands, I am exploring my options. I am starting out with plenty of ideas but lack the know-how to get myself off the ground. This book sounds like the prefect jumping off point!! I have wanted to start my own business forever and have finally started the researching and options that I need available. I am going to be 50 this year and realize that time goes by so very fast it is now or never and this book seems like it has such a wealth of information that I cannot wait to read! Thank you for offering this great giveaway! I will be starting a blog in the next few weeks — am in an online blog class now. I’m excited about that and about starting my own “business.” This book will be a great resource, I am sure. I’ve not tried starting a side business but sometimes I think about starting a private voice studeio as a side gig. I heard about this book on Dave Ramsey though and would love to read it! I used to have a craft business several years ago which did well. Now I would really like to start an online business but I have no idea where to start. This book would be a wonderful guide and resource for me to finally get my business off the ground. No I have not but I am interested in starting a side business now. I have not started a side business, but I really, really want to. I have thought about blogging, sewing purses and bags, quilting, and virtual assisting. I homeschool my daughter so a flexible schedule is essential. My husband is currently unemployed. He is looking for work, but we really need at least one income and two would help. Thank you for the opportunity to win a copy of this book and also for letting us know about the book. I’m definitely interested. I have never tried to start my own business, but would like to. I have not yet tried to start a side business. Yes,I have. Recently started slowly getting back into eBay and Etsy again. I’m thinking about an independent side business soon.